Southern Loggin’ Times November issue spotlights Bruce Hopson’s business for its production of quality harvests with emphasis on crew safety, land stewardship and proper machinery maintenance. 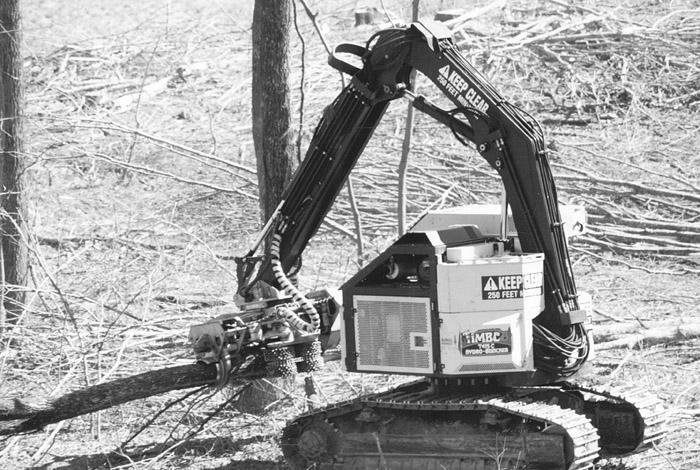 H & E Timber Co. is also featured for being a three-man crew that does it all: thinning, clear-cutting and hardwoods. 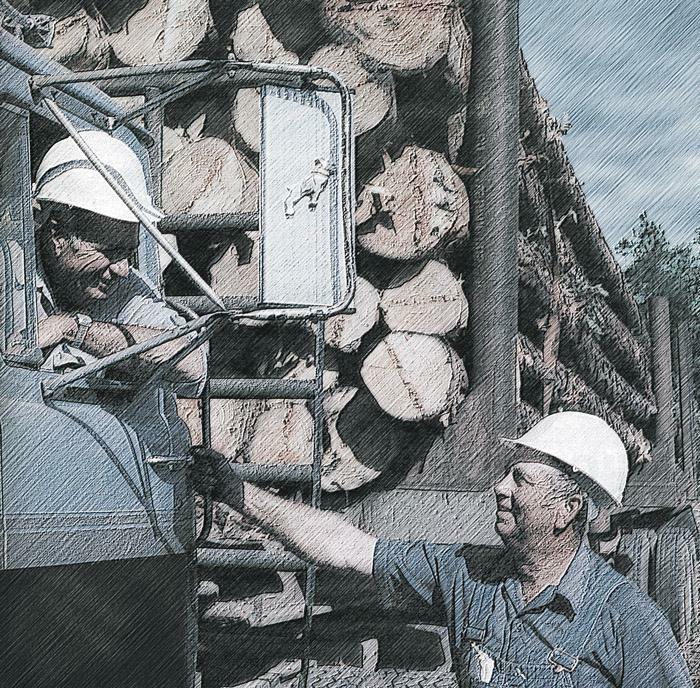 Louisiana logger Travis Taylor is mentioned for reaching out to the “green” crowd. 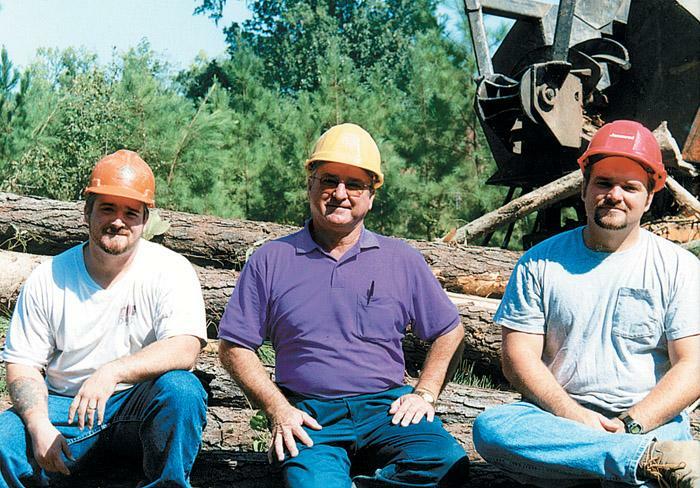 Also, the Campbell brothers logging business is featured for going strong after facing tragedy. Michael Hughes always says that he, his father Fox Hughes and his cousin Anthony Eiland got into logging “out of necessity more than anything else.” The trio started H&E Timber Co. in February 1998, after Glenwood Wood Yard, the timber dealership that Michael and his father worked for, sold out. Fox, 55, had logged in the past, Eiland had some experience and all three were used to being around the industry, “so we decided to try it,” says Michael, 26. Louisiana logger Travis Taylor, a cut-to-length disciple and graduate forester, reached out to the green community last month by hosting an “Environmentally Friendly Logging Expo.” About 200 attended what may have been the first of its kind event October 17-18. It was conducted in the heart of the Kisatchie National Forest some 10 miles south of Winnfield in the upper central part of the state. On this sunny, cool morning, which is only several mornings since the terrorist attacks of September 11, logger Thad Campbell, like most Americans, is still trying to come to grips with the tragedy. 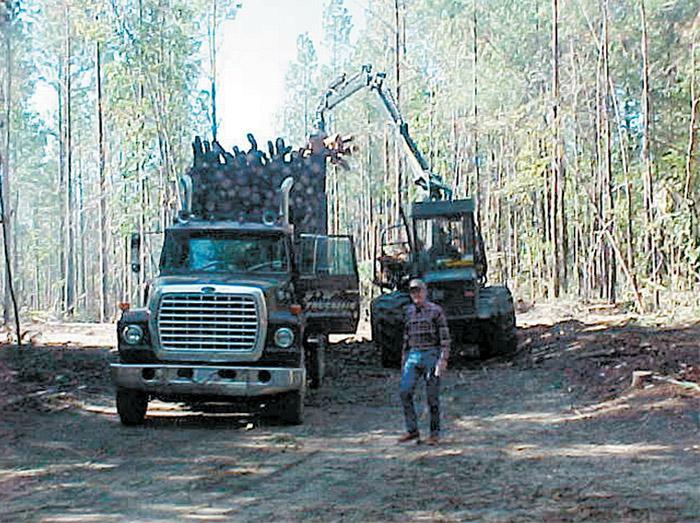 “It’s on everybody’s minds and hearts,” Campbell says, as he drives his pickup through the Pee Dee River basin en route to his logging operation. In the summer of 2000, fire destroyed millions of acres of forest across the U.S. 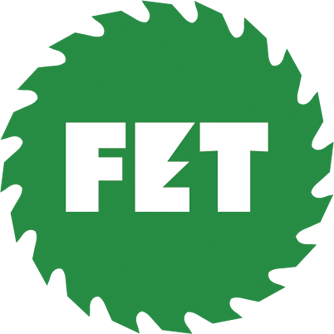 This study investigates the feasibility of harvesting to reduce forest fuel buildup and produce energy wood. 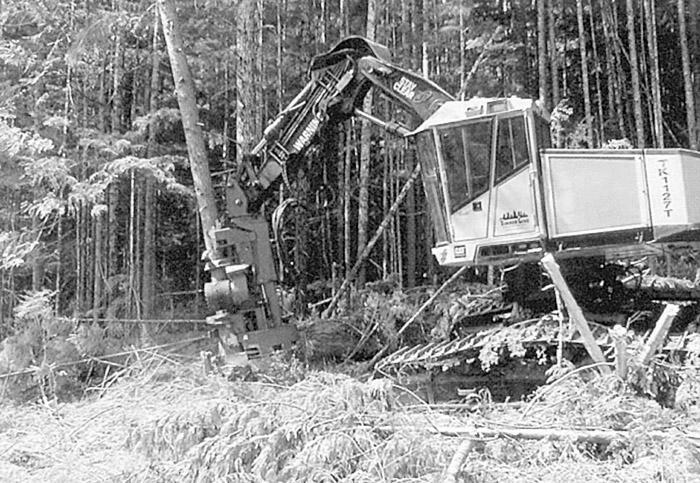 Cut-to-length (CTL) harvesting coupled with a small in-woods chipper provides a low impact way to harvest pre-commercial trees and tops along with merchantable logs. Granpa asked, “You wanna ride with us, Uncle George, or your nephew, Stacy?” George just grinned with that big milky white smile of his. Its only imperfection: a gold cap just to the right of his nose. “Yeah Kirby, I reckon I’ll ride with y’all.” Hearing this I knew the ride would be interesting. God asked Adam, “What is wrong with you?” Adam said, “I don’t have anyone to talk to.” God said that He was going to make Adam a companion and that it would be a woman. He said, “This person will gather food for you, cook for you, and when you discover clothing, she will wash it for you. She will always agree with every decision you make. She will bear your children and never ask you to get up in the middle of the night to take care of them. Quadco offers the Model 6000 and Model 7500 harvesting and processing heads. Units have top saw with 16" capacity; bottom delimbing arms; self-adjusting proportional pressure soft clamp system; and computer system for log and diameter measuring. Model 6000 has a 24" cut; Model 7500 has 30" cut. Units are available with standard spiked steel feed rolls or optional rubber chained rolls. 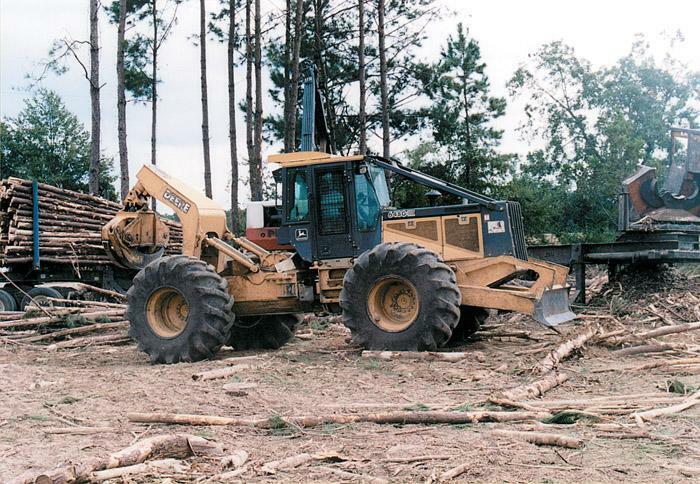 Blount Forestry and Industrial Equipment Div. 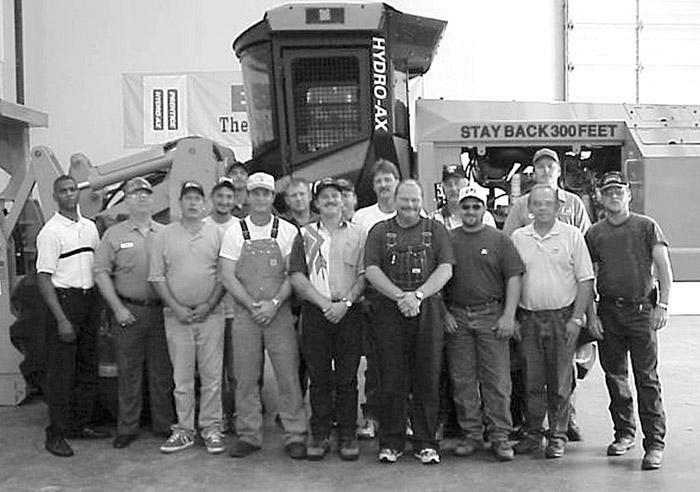 held a dealer service training school for the Hydro-Ax Series 70 tractors at the Product Support Center in Zebulon, NC, August 28-30. Using a new 570, dealer service technicians were able to gain hands-on training on servicing, troubleshooting and proper routine maintenance.